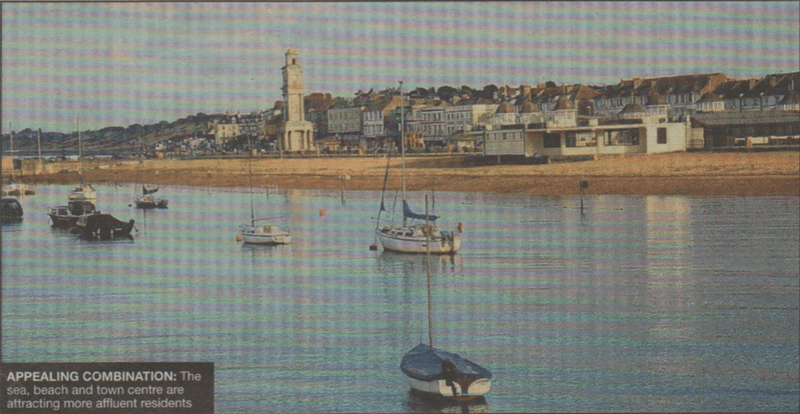 HERNE Bay has been named a shopping hotspot — making it onto a list of the UK’s 100 best retail locations outside London. The town is ranked number 31 on the Hot 100 list, compiled by property consultants CACI for Property Week magazine. It comes in four places above neighbouring Whitstable, which is ranked 35. Metrics used to compile the data included economic variables, growth prospects and the impact of future projects, along with the town’s demographics, leisure opportunities and projected population growth over the next decade. Regeneration schemes, such as the planned Aldi supermarket in King’s Road, which is part of a £50milhon project to transform the town centre, also had favourable effect on the town. Work will start on building the Aldi store early next year, and Mr McQuestion said the data CACI had complied would be used to help the team put together phase two of the scheme, which will see the William Street car park transformed into a new shopping square. Next Merman in the pool!